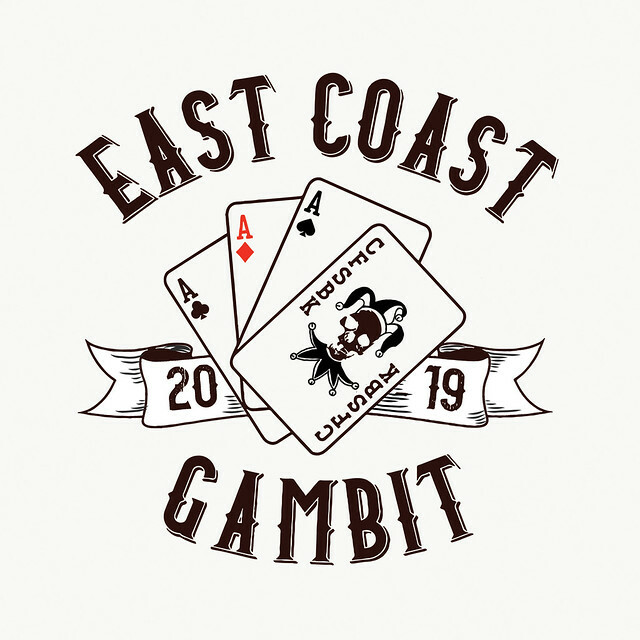 The first annual East Coast Gambit is a premier, single day, functional fitness competition in the northeast! Hosted by CrossFit South Brooklyn, the event is open to all individuals and will feature both RX and SCALED divisions (more info below on standards). All athletes will perform 3 workouts, plus a 4th floater workout. Expect the workouts to challenge you both physically and mentally, compelling you to do your very best on competition day! Cash and prizes totaling over $3500 will be awarded to the top three athletes in each division! Sponsors include: RYU Apparel, Cafe Grumpy, Thirteen Fit Apparel, WOD N Done, RPM Jump Ropes, Born Primitive, Bear Complex, Wags and Weights, Chestee, and more! The big day is scheduled for June 15th, 2019 from 8am to 4pm. Registration is now open! Note that these standards are only intended to help athletes choose a division. There is no guarantee that these specific movements or loads will be used. We’ve been in the game since 2007 and in that time have been a pillar of safe, fun, and inclusive fitness. Riding the energy and professionalism that CFSBK owner David Osorio had (up until this year) been putting in as the Director of the Northeast Regionals, you can expect the East Coast Gambit to exceed your expectations. CrossFit South Brooklyn boasts over 12,000 sq/ft of space and is centrally located in the Gowanus section of Brooklyn. We’re easily accessible from the Atlantic/Pacific subway station, the Union Street stop on the R/N line, LIRR’s Atlantic Terminal, and a few minutes from the BQE.